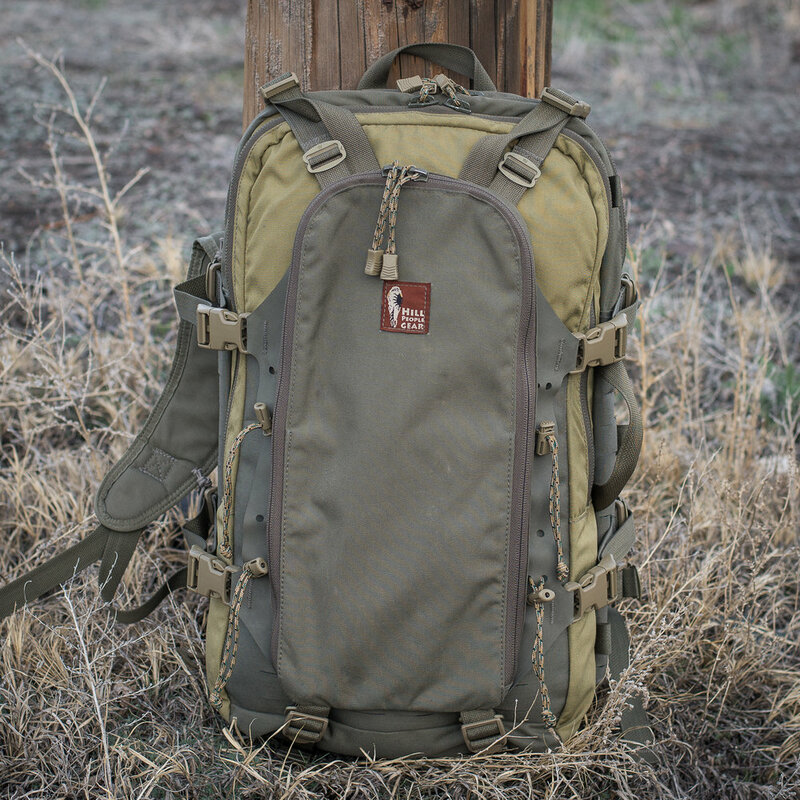 When Hill People Gear brought to market the Aston House, it was a departure from the simple and effective backcountry packs they are known for. Intended to serve well in technical roles that require organization of gear, the Aston House is loaded with provisions to enable the user to do just that. 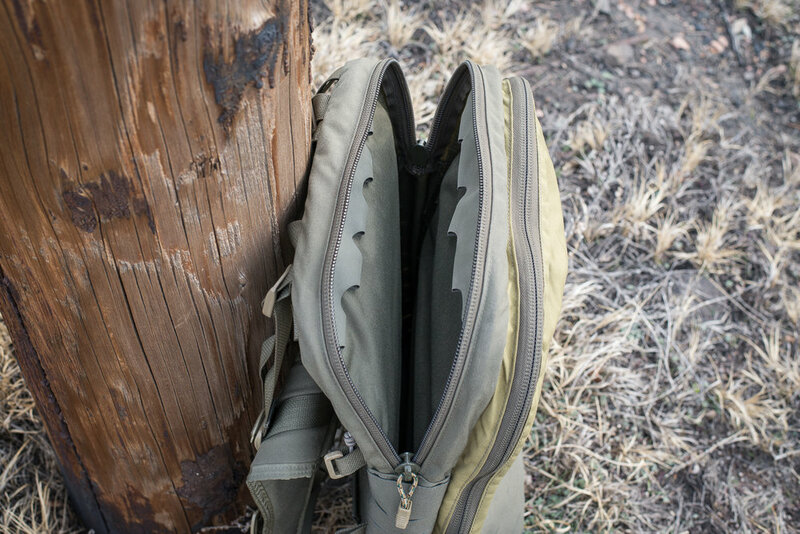 The pack is divided into two main compartments, with the outward compartment being lined with First Spear 6/12 fabric on the rear to accept PALS or hook backed pouches and a series of hypalon loops at the top to suspend kit. The rear compartment is lined on both sides with 6/12 fabric as well, but is not PALS cut. Each side of this compartment also features the hypalon loops seen in the outward compartment, and the bottom of this area features a pass through zipper to allow things like skies or a rifle to be carried through the pack. The exterior face of the pack sports an open top sleeve pocket that is also made from 6/12 fabric to accommodate more pouches. Each side of the pack has a grab handle as well as 2 columns of 6/12 material designed to add even more accessories. The Aston House comes standard with HPG's Aston Pocket, a low volume organizer type pocket that houses 3 open top pockets on it's rear panel, and a larger mesh pocket on the interior of it's outer panel. The pocket works well to secure overload items to the pack or can be removed to make the pack lower profile. 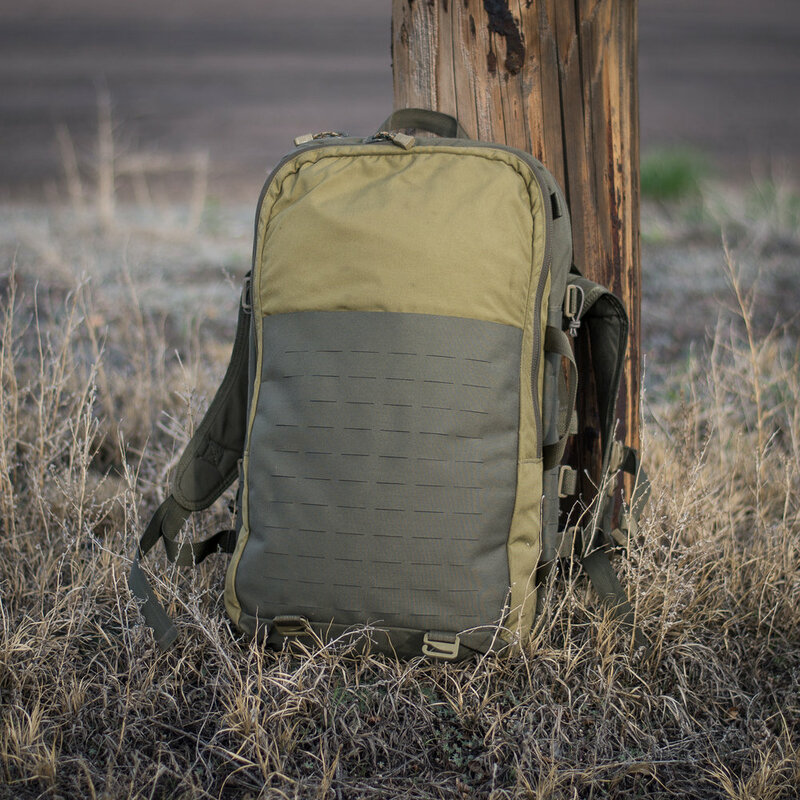 The Aston House is built around a frame sheet and single aluminum stay, uses their excellent shoulder harness and supports the addition of one of their outstanding pack belts (not included). The Aston House will not be for everyone, but for those who need to have their gear meticulously and carefully packed, it is a winner.